It was an amazing movie that was both emotional and fun. 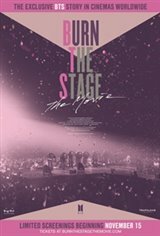 It brought a new perspective about how the members of BTS felt and lived. It is not just for ARMYS but can be for everyone to watch! ANYWAYS I WAS FANGIRLING! My kids and I are sooo hyped for the show and yes I've never seen it but the trailer itself was enough to make me cry. AHHHHHHH For one, with just watching the trailer you can see the passion, and how much they just want to nake ARMY happy. I can't believe Bangtan made it this far. Im like a proud mother but yeah. It made me laugh and cry. You must watch! Fighting! Why is this airing so early in afternoon and so late at night? My kids want to seee it and they're either in school or ready for bed. Will this play anywhere else at normal hours for the other fans?